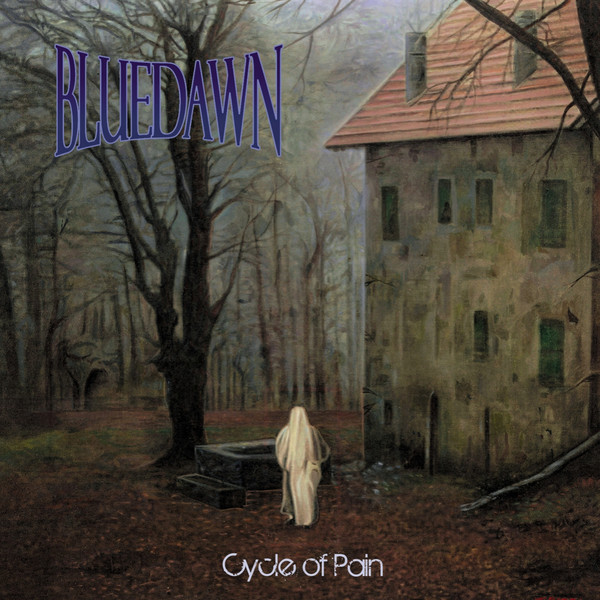 Cycle of Pain is the second release by this Italian band who cannot seem to make up their mind regarding their musical style. This disc is a mixture of doom metal, 70s hard rock, symphonic progressive rock, and some beautiful acoustic guitar music. The cover art is spooky with a white shrouded figure approaching what looks to be a deserted house, but this picture does nothing to convey what you will experience from listening to the music. Some songs take abrupt turns from hard rock or doom metal to progressive rock, such as “The Powers That Be” and “Naked Soul,” which made it difficult for me to listen to the disc all the way through. There are some nuggets hidden behind all of the hard rock trappings. However, it is not until the fourth song and title track that the music becomes interesting. “Cycle of Pain” is pure gothic progressive with its bass line, plodding beat, and Monica Santo’s vocals. Other standout tracks are the sinister and moody symphonic instrumental “Dawn of Contempt,” the acoustic guitar instrumental “Aurora,” and the acoustic guitar/heavy rock blend “Red Sun.” There is also a cover of Roxy Music’s classic “In Every Dream Home a Heartache.” Blue Dawn delivers a dark gothic reading, but it falls short of Brian Ferry’s sheer decadence that made this song so powerful. The disc closes with “Last Cry,” an odd mix of Bauhaus/Joy Division new wave and hard rock that amazingly works! Overall, Cycle of Pain is too uneven for my tastes. I would have enjoyed the disc more if Blue Dawn had integrated all of these disparate elements into a unique style rather than constantly shifting persona from song to song.